Face it! There’s only one Gatlinburg. It’s been the attraction in the Tennessee Smokies for decades. It spawned the tremendous development of most of east Tennessee’s tourist growth, and still stands at the pinnacle of what’s cool about the Smokies. The ski area at OberGatlinburg attracts thousands to its ski slopes every season, and the area much resembles the famous ski areas of the west. You can own a Gatlinburg cabin or condo on the mountain that overlooks OberGatlinburg. The view from your Gatlinburg cabin or condo makes for one of the most beautiful sites to be seen in the winter Smokies. 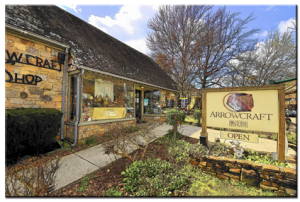 Just out of downtown Gatlinburg is the famous Arts and Crafts Loop, where artisans of every kind display and offer their wares. You could spend a month doing nothing else but looking at shops on the Loop, and still have more to look at on your next visit. Gatlinburg real estate includes idyllic and cozy cabins and condos. Real estate includes luxury homes that take Smoky Mountain living to the next level. Some Gatlinburg homes can be found for sale in excess of several thousand sq. ft. and 2 acres of land. They can appear like small castles in a mountain wonderland or exclusive, Gatlinburg cabins in rustic luxury. 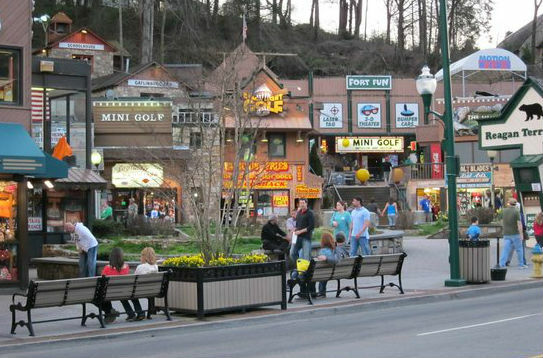 If you want to know more about Gatlinburg, you’ll find its downtown is amazing! People watching is a major sport. Visitors from around the world gather here to enjoy the climate, the activity and the other people. Restaurants and eclectic shops abound. Perhaps the best known attraction, one that changes often enough to keep you coming back, is the Ripley’s Aquarium, which, if it’s not the world’s largest, is very close. And none is better done or more interesting. And right downtown, Gatlinburg boasts Tennessee’s only legal moonshine distillery and free tasting. Live music from bluegrass bands makes your visit a lot of fun right across the street from Bubba Gump’s. I could go on forever about Gatlinburg. There’s still just one! Find out more about Gatlinburg real estate and community amenities in the Smokies. Get details on Gatlinburg cabins, condos and elegant luxury homes in the Smoky Mountains with my unique website resources. If you have a question, call or email me.